Ms. Kristina Dubinima, Sales Director at Gaz International LLC in Asia & EU, tells VET about its intentions in Vietnam. How would you comment on Vietnam’s automotive market? We researched Vietnam’s market in 2016 and 2017 and late last year and this year participated in two exhibitions on the country’s automotive industry, to study customers. We have also conducted trade promotion activities in Vietnam and will start selling our products in the country this year. We plan to establish a joint venture with a Vietnamese company to benefit from import tariffs on spare parts and imported automobiles of zero per cent. We will also transfer technology and localize components in production. We expect to benefit from the Vietnam-Eurasian Economic Union Free Trade Agreement (EAEU FTA) signed in 2016 and we will set up a production base in Vietnam. From here we can export vehicles to other Southeast Asian countries. Vietnam signing many FTAs is an advantage for our investment in the country. 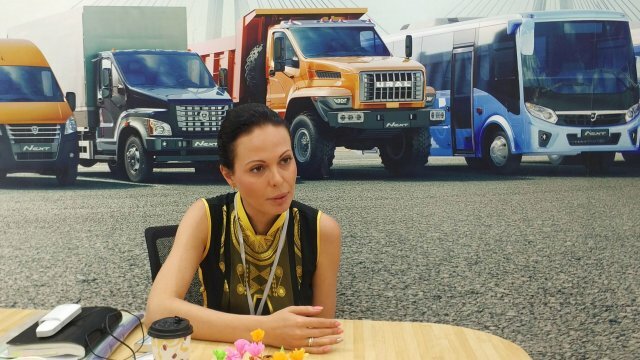 As a manufacturer of commercial vehicles in Russia, Gaz is targeting Vietnam as a key market in the ASEAN region and it is also a key, long-term market of Russian automotive companies. What are challenges for the company in investing in Vietnam? We have little experience working in Vietnam, so our greatest challenge relates to administrative procedures, such as the time needed to complete registration or legal matters. We need to engage a consulting company. Vietnamese consumers, meanwhile, mostly pay attention to price but I hope they will pay more attention to quality as Vietnam applies Euro 4 standards for vehicles. What are the company’s target products in Vietnam? Among our 500 products, we will sell four types in Vietnam: light trucks and mini buses, mid-sized trucks, buses, and heavy trucks. Nineteen-seat buses are a key product in the country because public transport issues are being addressed and we don’t see any competition. We also expect to produce and localize these products in Vietnam. Larger buses are also part of our planning. What are your thoughts on Vietnam’s support industry? I heard from the Ministry of Industry and Trade about the shortcomings in the support industry but I think they are quite developed compared to Russia’s automotive industry. Russia mostly import components from China and the EU. Like Vietnam, our government always pushes automotive makers and suppliers to produce more spare parts and components than are imported. This didn’t happen, however, because growth in the automotive industry in Russia is low. Vietnam’s automotive industry, meanwhile, has started developing and shows positive signs. We currently produce 70 per cent of our spare parts. When we invest in Vietnam we will find Vietnamese suppliers. If they aren’t sufficient in number we will establish a supplier development group and seek small Vietnamese companies. The Vietnamese Government has incentives for businesses operating in the automotive industry but transportation and logistics services from the EU and Russia to Vietnam are costly. We will therefore localize products in the future. Is the remaining 30 per cent of spare parts an opportunity for Vietnamese suppliers? The remainder depends on the spare part involved, as some require high-technology, such as tunnels, steering, and technology equipment. Whether suppliers can provide these depends on high-tech development in Vietnam. If the production facilities are here we are willing to cooperate, because localization will help reduce costs and improve capacity at Vietnamese companies. We have listed a number of products that Vietnamese companies could produce, such as battery chargers, plastics equipment, seats, and tires.